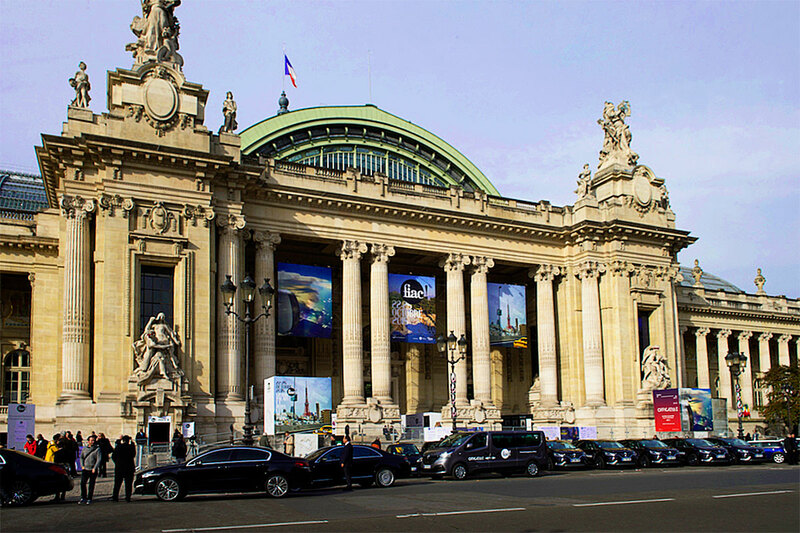 Against the stunning backdrop of the Grand Palais, the international contemporary art fair, FIAC, will be held from 22 to 25 October 2015, a favored meeting place for art dealers and artists from around the world. 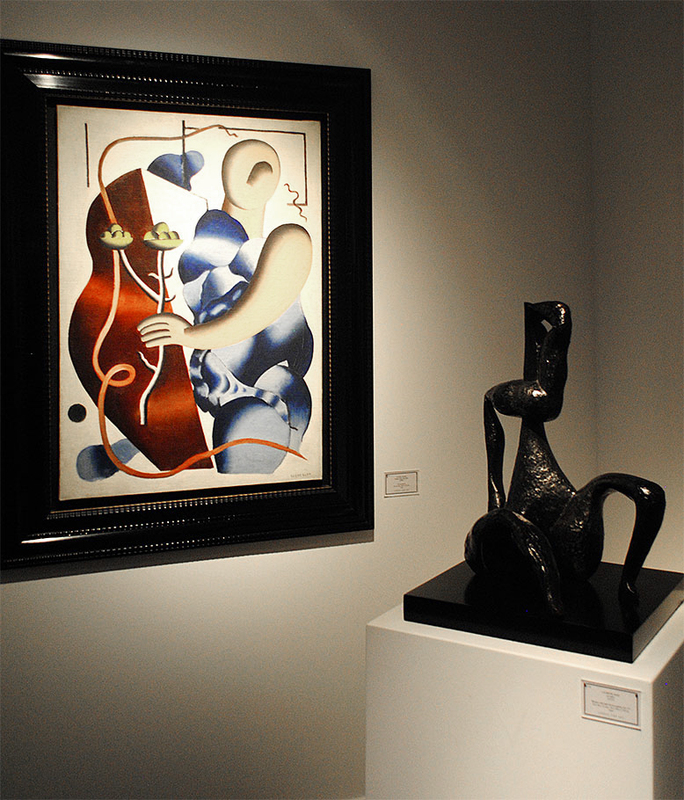 The capital is gearing up, with even more verve than usual, to beat in time with art, design and creation. 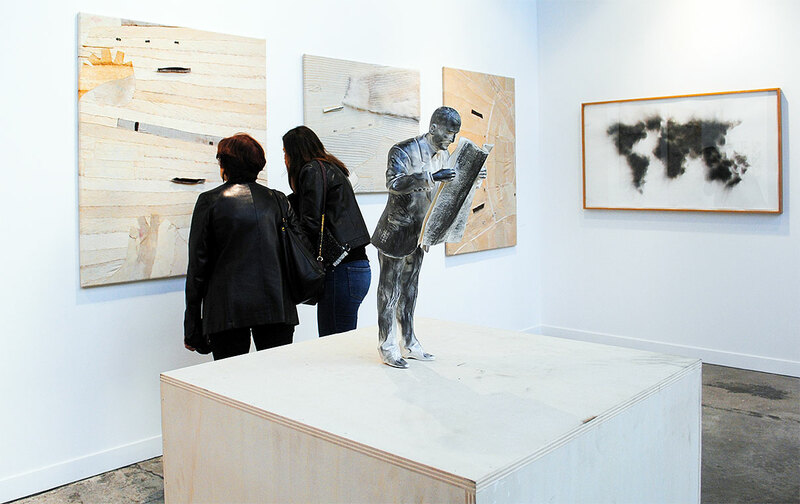 The 42nd edition of the international contemporary art fair (FIAC) will open its doors from 22 to 25 October in the heart of the city. 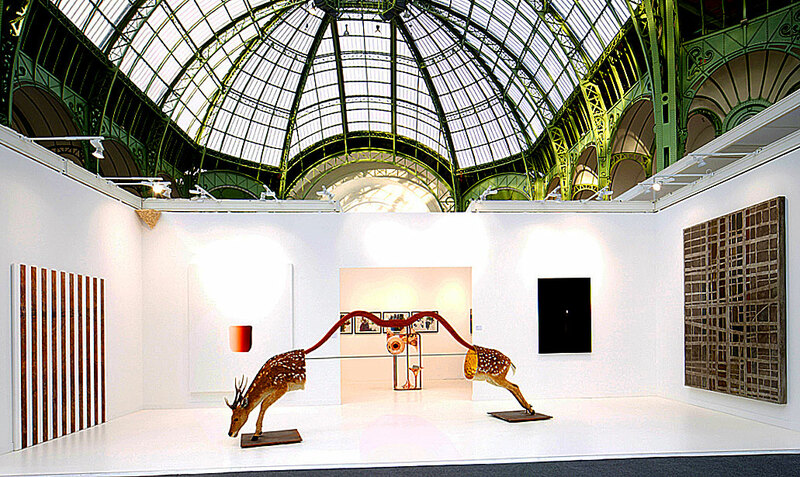 • First held in 1974 in the disused Bastille train station, FIAC has taken place since 1977 against the stunning backdrop of the Grand Palais along the Champs-Élysées, under the building’s famous nave, and also on the first floor and in its Salon d’Honneur. 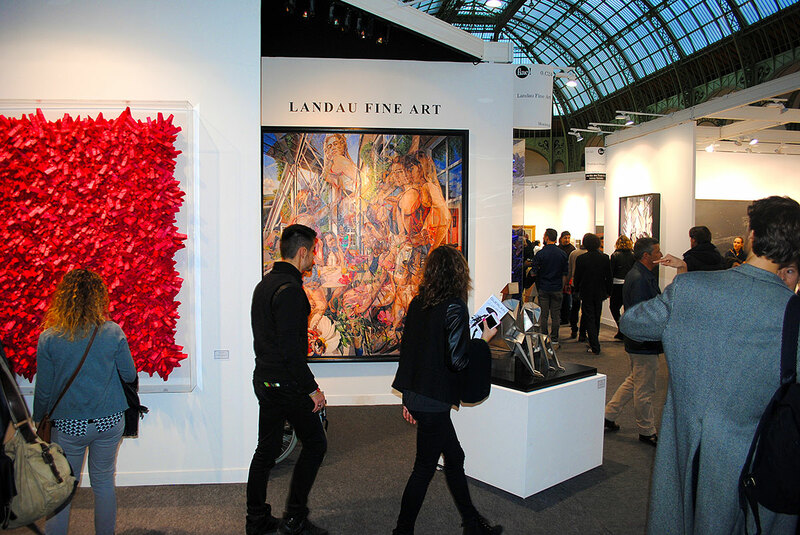 An internationally renowned made-in-Paris event, art dealers, artists and art enthusiasts alike gather together from around the world in the capital to bear witness to the buzz of global creativity. 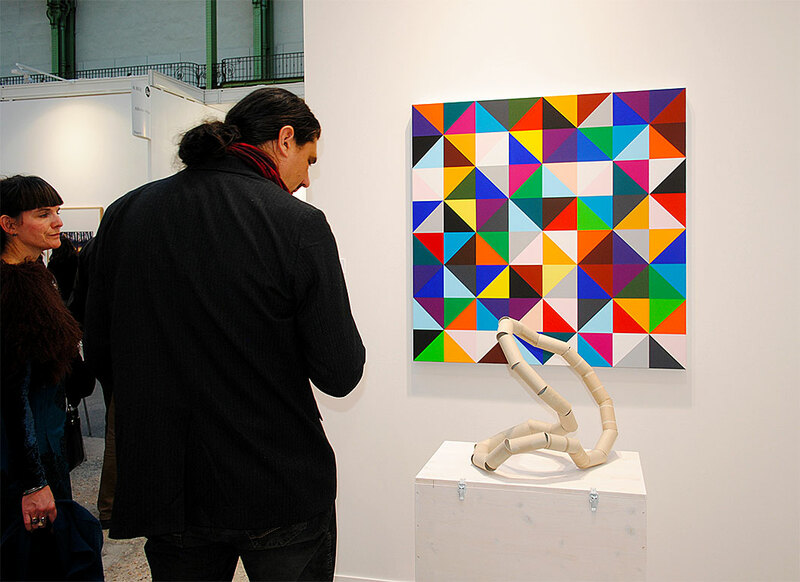 • This year, over 3,000 artists and 170 exhibitors are expected, and French design will take center stage with the showcasing of the Marchel Duchamps prize, organized in partnership with the Pompidou Centre, the National Modern Art Museum, to reward an experienced artist living in France. 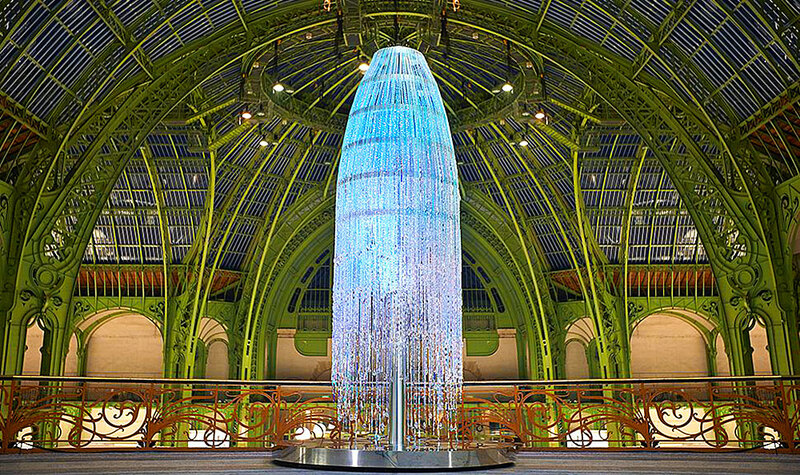 The winner will be displayed under the great staircase in the Grand Palais. 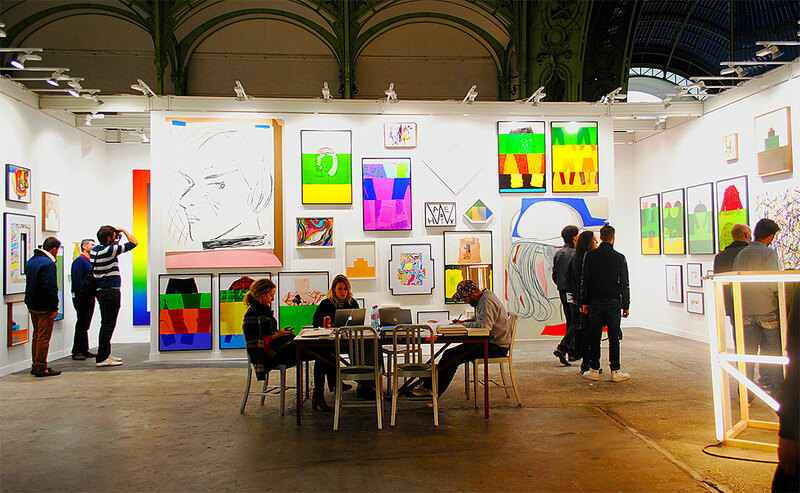 Once again this year, FIAC will also be spilling onto the streets with its “Hors les Murs” (Beyond the Walls) agenda that will present events in the Jardin des Tuileries, the Jardin des Plantes, in the Place Vendôme and along the banks of the Seine. 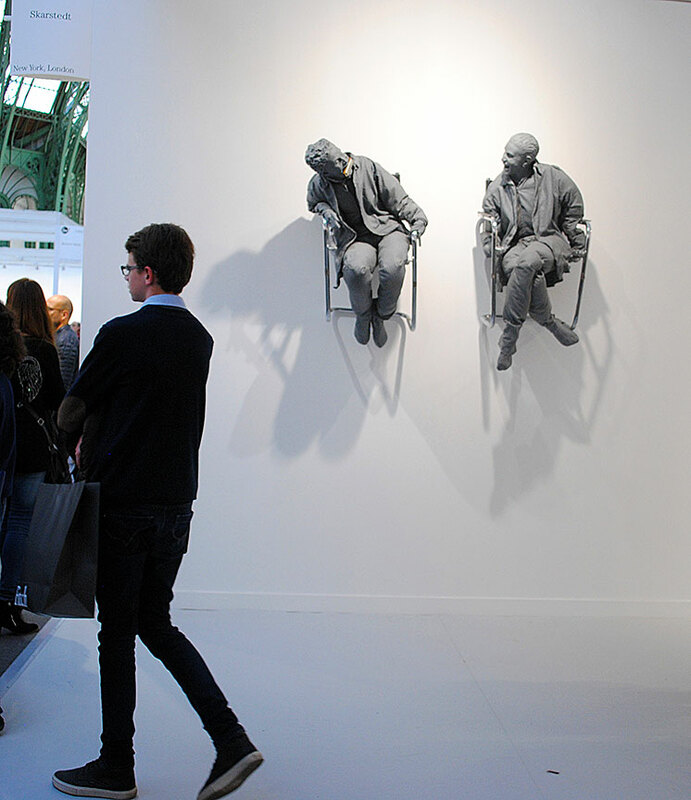 FIAC 2015 DRAWS CROWDS ON VIP DAY. 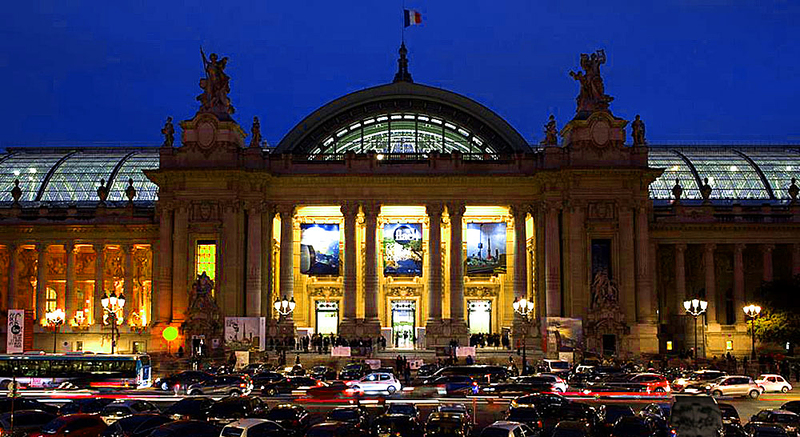 Collectors and art lovers surged into the Grand Palais Wednesday for the opening of the 42nd edition of FIAC in Paris. 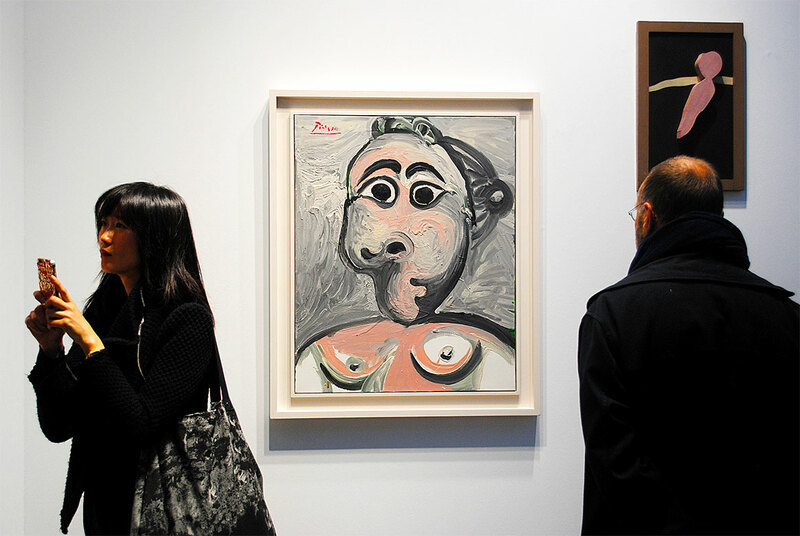 Only the V-VIPs – that is, high-spending collectors – were let into the fair Wednesday morning, but by the time the next rung of notables began the afternoon preview, swarms of people already clogged the aisles between booths, making circulation slow-going. 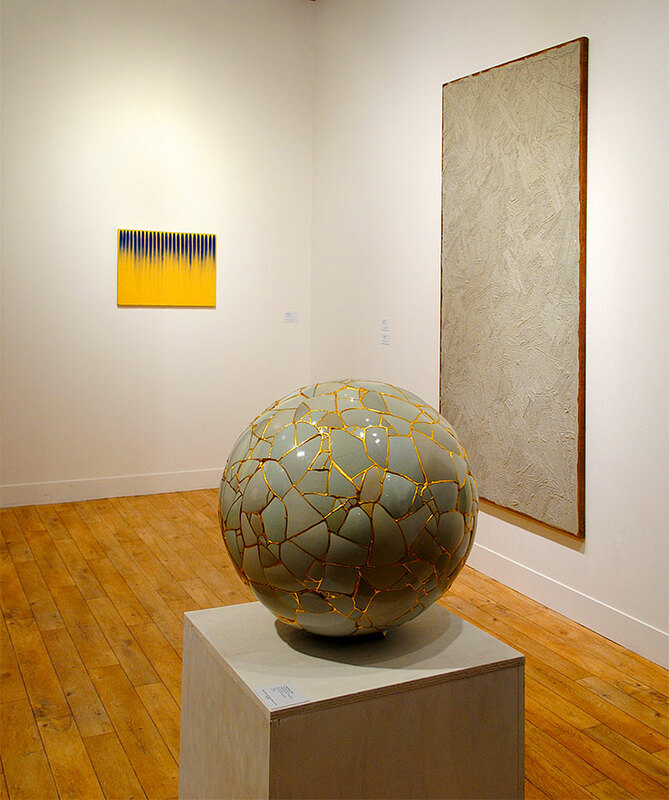 With 170 galleries from 22 countries, FIAC brought the usual suspects like Gagosian Gallery, Paula Cooper, Galerie Perrotin, Pace and White Cube, as well as some bright ideas from the likes of Spruth Mägers, which used its booth to envision the home of a French collector (smooth) with a Sterling Ruby Mobile and Louise Lawler wall piece specially made for the booth. 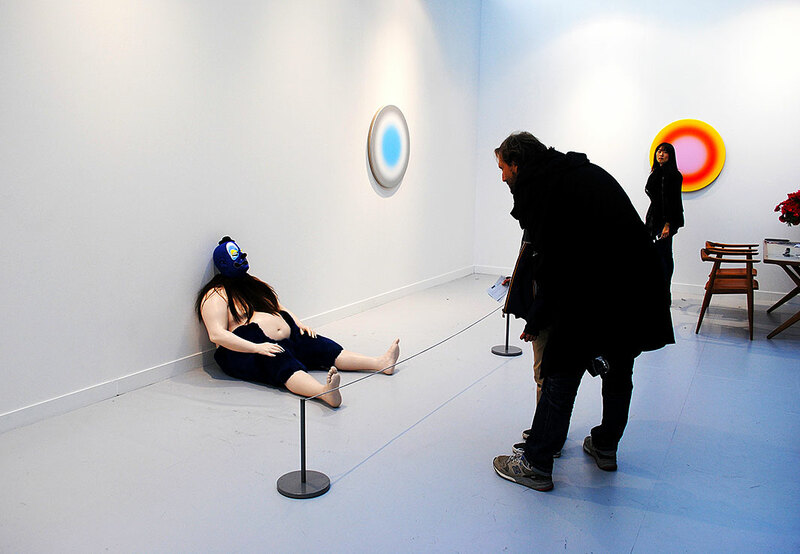 • Paris gallerist Chantal Crousel was in her typical space, front-and-center at the entrance. 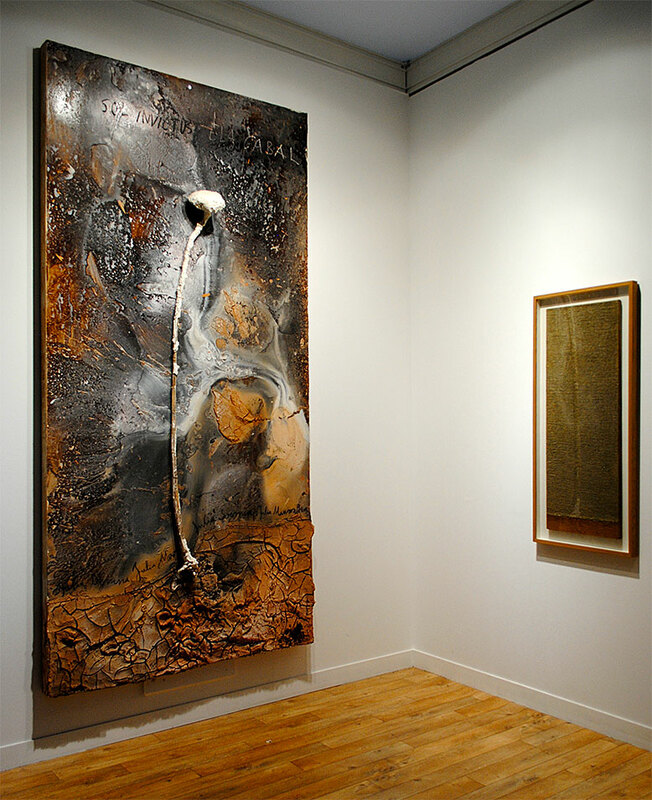 Among her showing was an Elizabeth Peyton watercolor portrait, an ominous totem sculpture by Roberto Cuoghi, and Mona Hatoum’s “Hair and There” (2004). 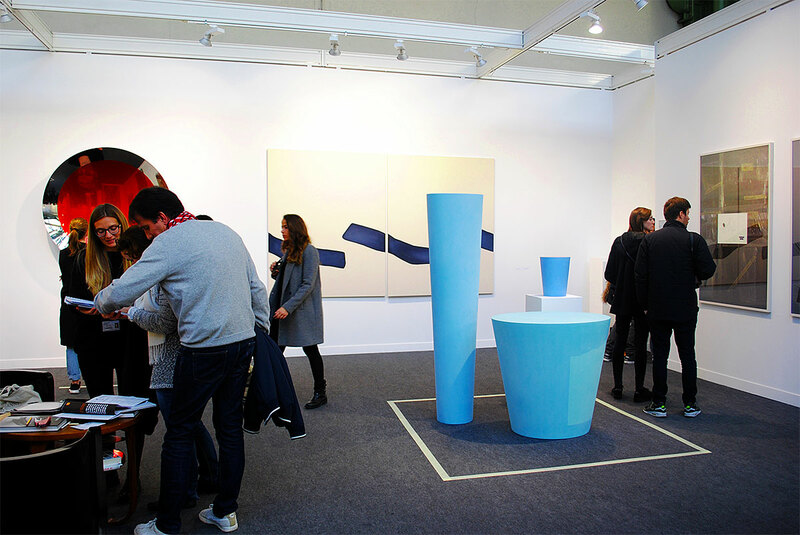 Director Marie Laure Gilles noted sales at Frieze had been slower the week before, but with most of the gallery’s collectors based in Paris the gallery was now welcoming many familiar faces, along with new clients. 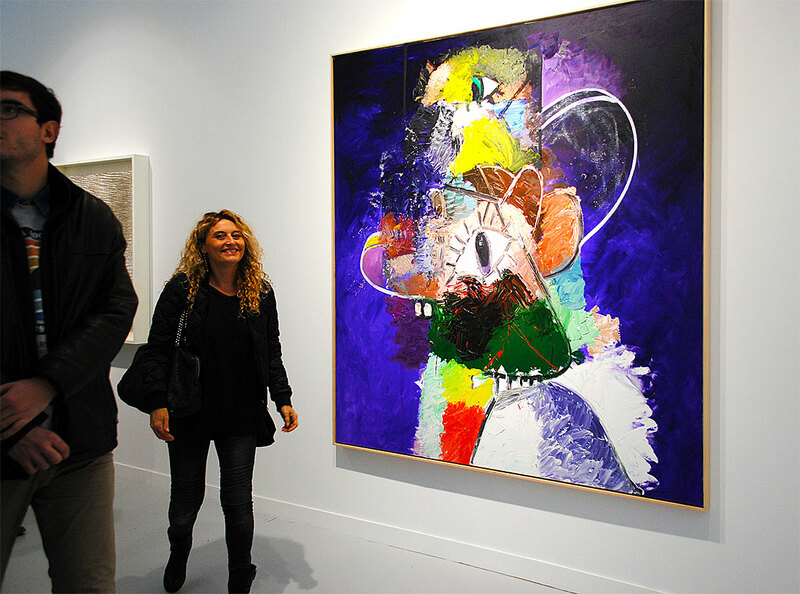 “FIAC is always very good to us,” she said. 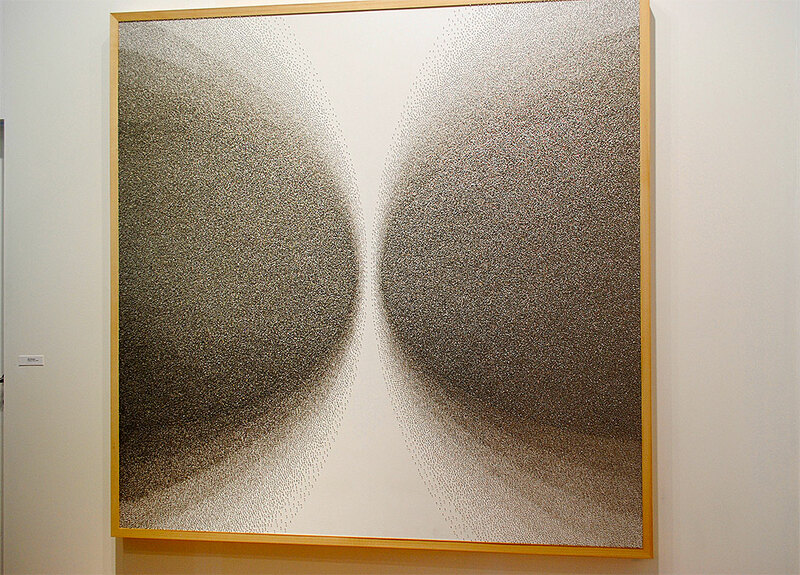 Interestingly, Gilles also noted a significant uptick in Chinese collectors at the fair this year. 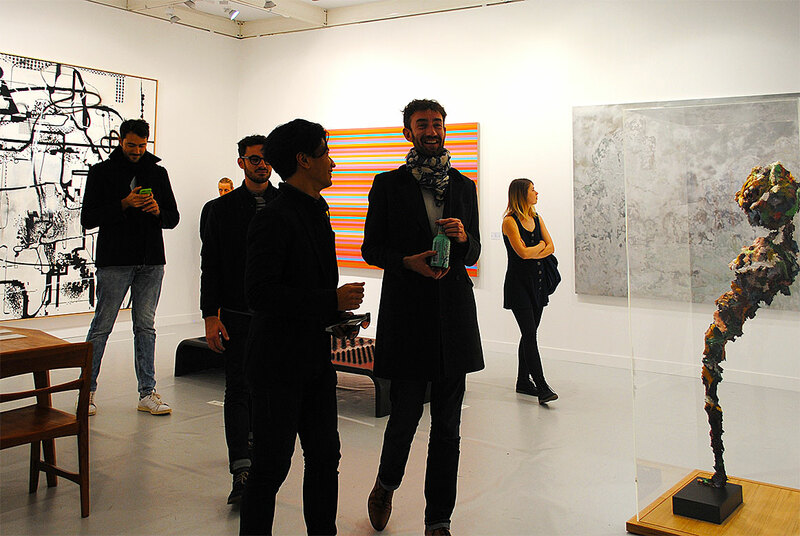 • It was the opposite case for Lisson Gallery, according to Ossian Ward, head of content for the London art dealer. 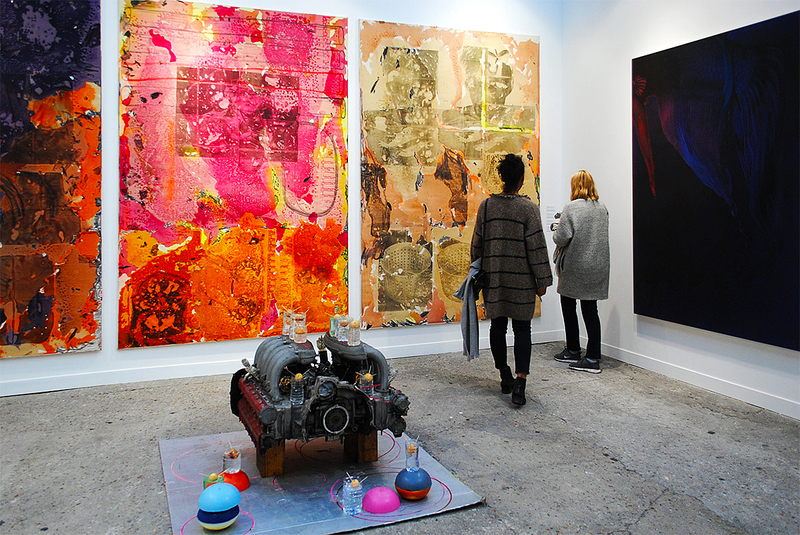 “It was more frenzied at Frieze. 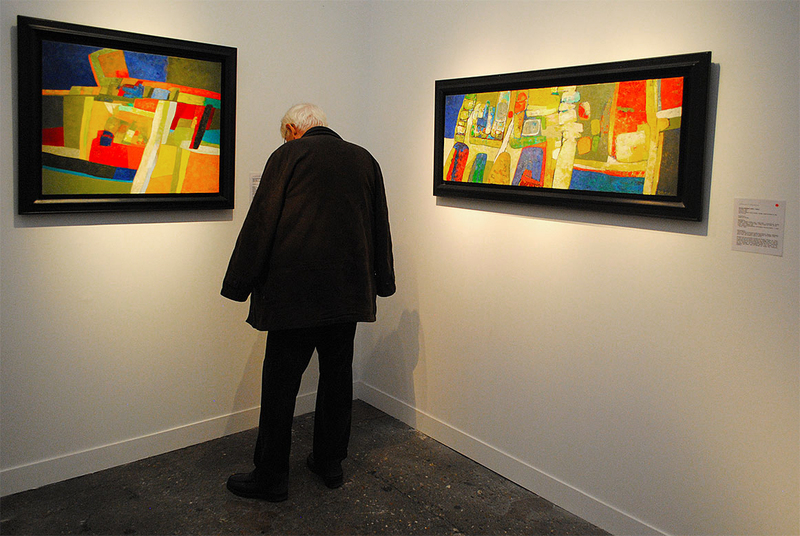 Sales the first day were just boom, boom, boom,” he said. 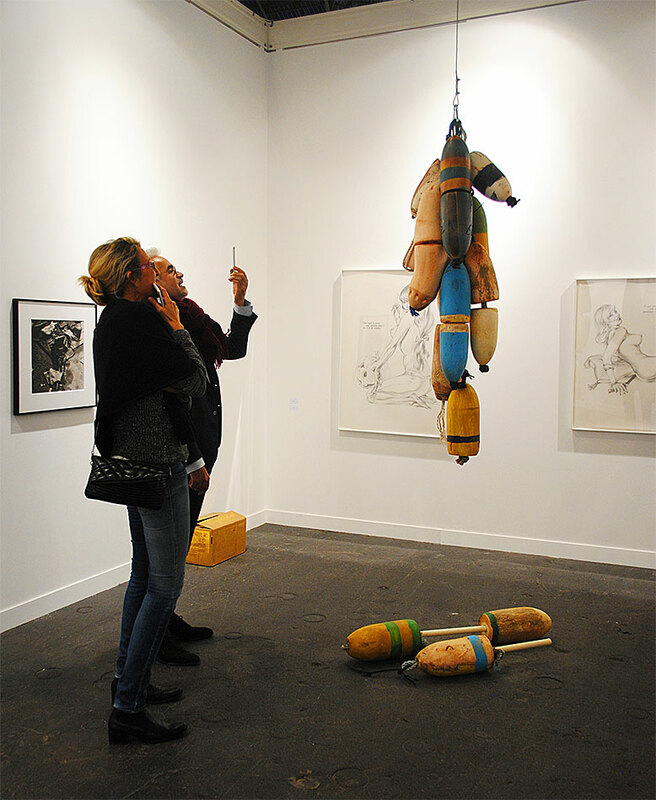 Still, the gallery wasn’t faring too poorly on the first day of FIAC. 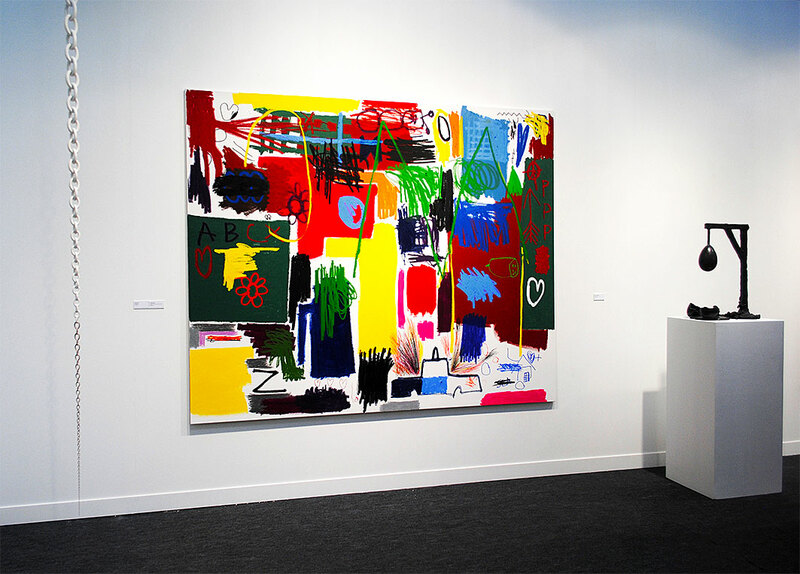 Ward said sales and negotiations were steady, as it had sold all of its paintings by Stanley Whitney, who will make his debut in the gallery’s Milan branch this month. 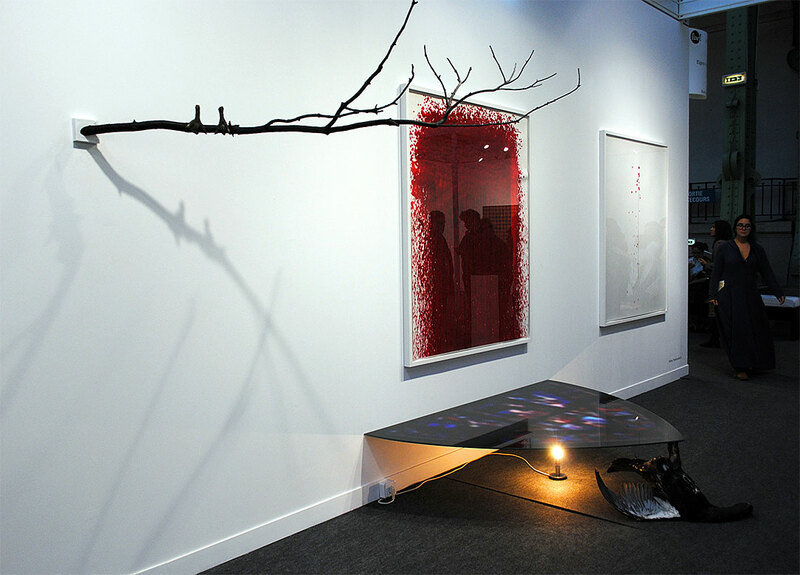 Lisson was also showing Anish Kapoor’s new burgundy fiberglass sculpture blooming from the corner. 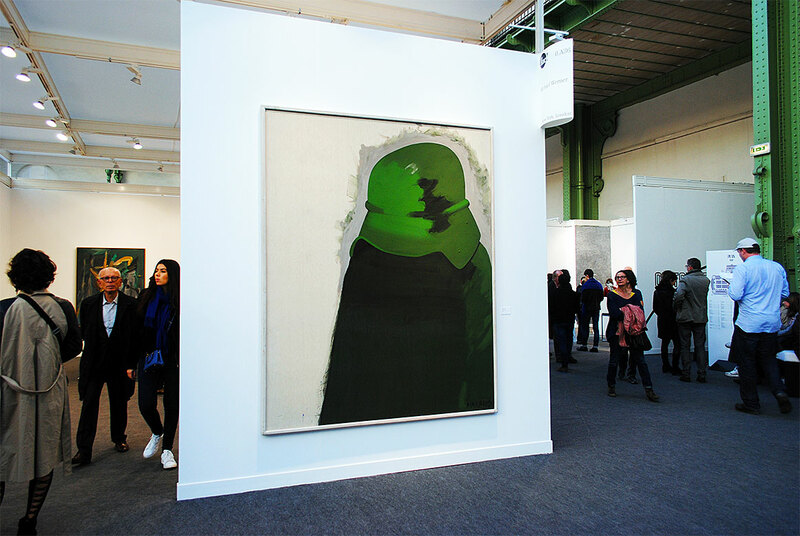 The gallery has double duty this week, as Ward said a team had been dispatched to assess the latest damage to Kapoor’s “Dirty Corner” at Versailles. 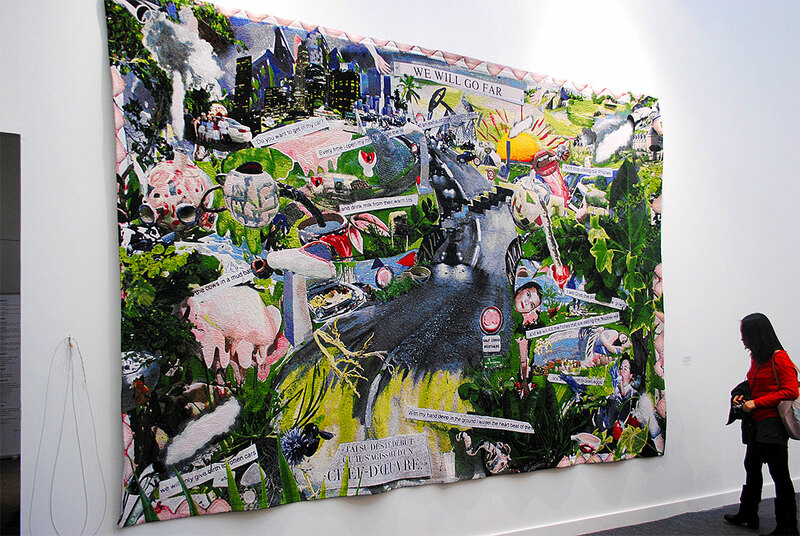 Ward added that some Frieze-goers may have been more hesitant to “pull the trigger” in London, keeping in mind that there would be more to see across the channel in Paris the next week. 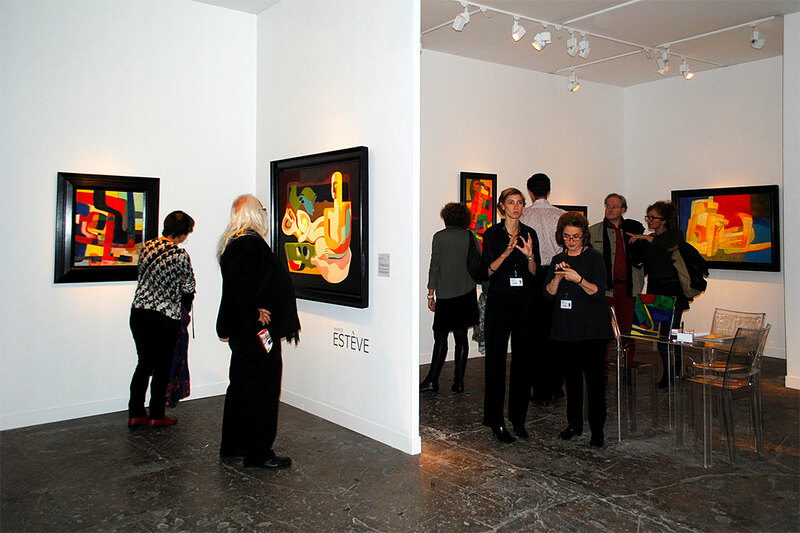 That could be less of a concern next year when Frieze moves up to early October. 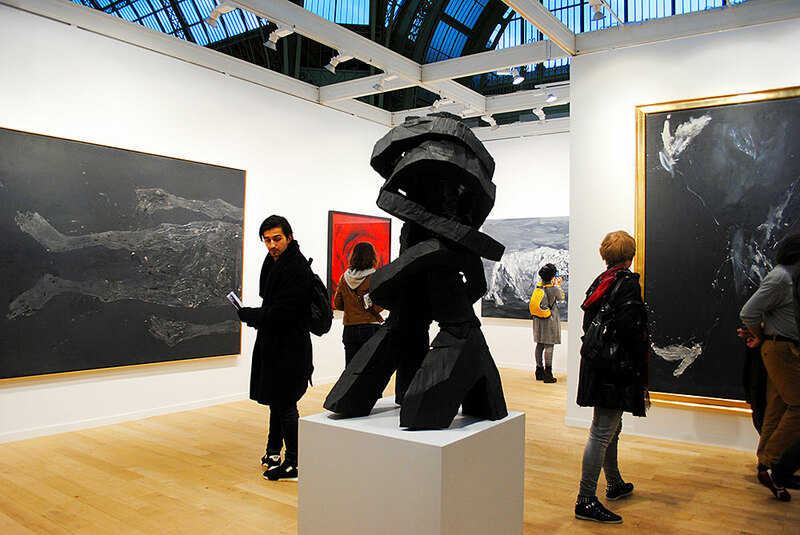 Perhaps the choice of fair will inform the type of collector, as one FIAC gallerist said Frieze feels more commercial, whereas the Paris fair operated on a more intellectual level. 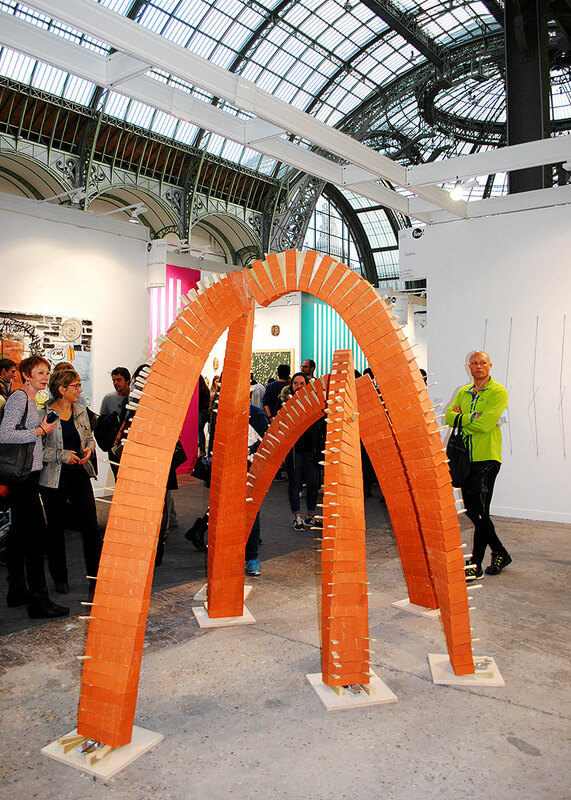 • As Frieze continues to expand its programming and satellite fairs, FIAC carries on under the banner of French indifference. 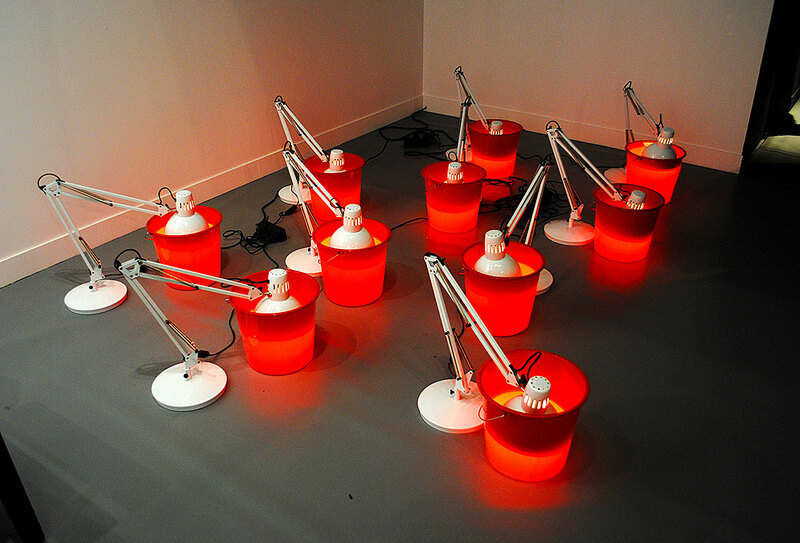 FIAC director Jennifer Flay hoisted the fair out of turmoil when she took the helm 11 years ago and has used the steady footing to invest in the public offering. 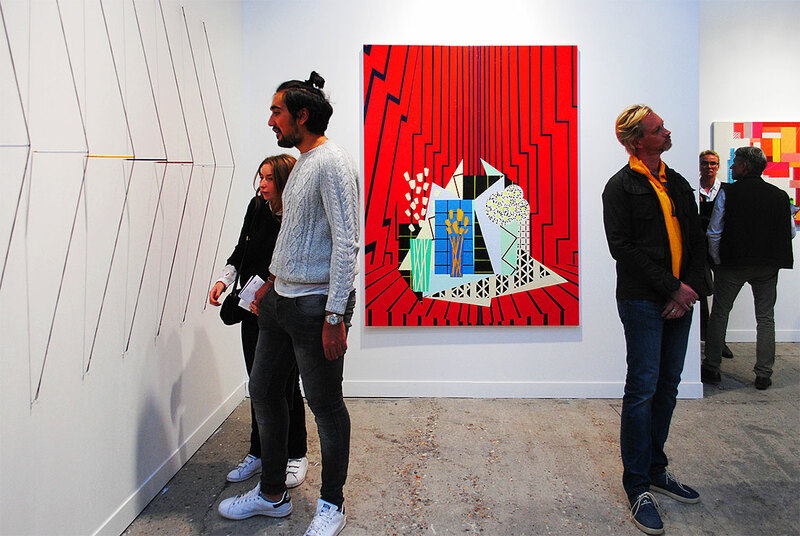 She has always made a point that FIAC is not an ivory tower fair only for dealers and buyers, but a citywide celebration of contemporary art designed with the public in mind, as seen with the Hors les Murs and Officielle programming. 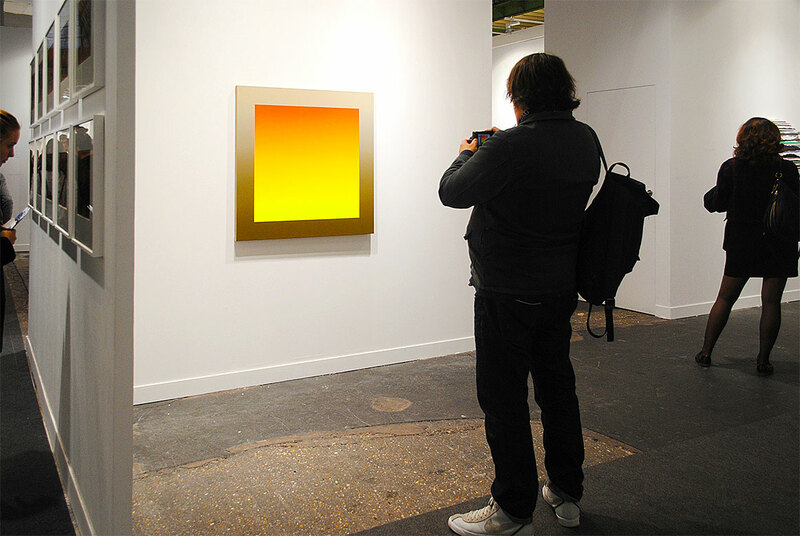 Ward from Lisson sums up that egalitarian forum feeling, noting that, “FIAC is just as much a feast for the viewers as it is for the collectors.” Despite speculation of “war fair” between Paris and London, and that high-selling Frieze could potentially endanger FIAC’s future, there is no sign that FIAC is at all interested in competition. 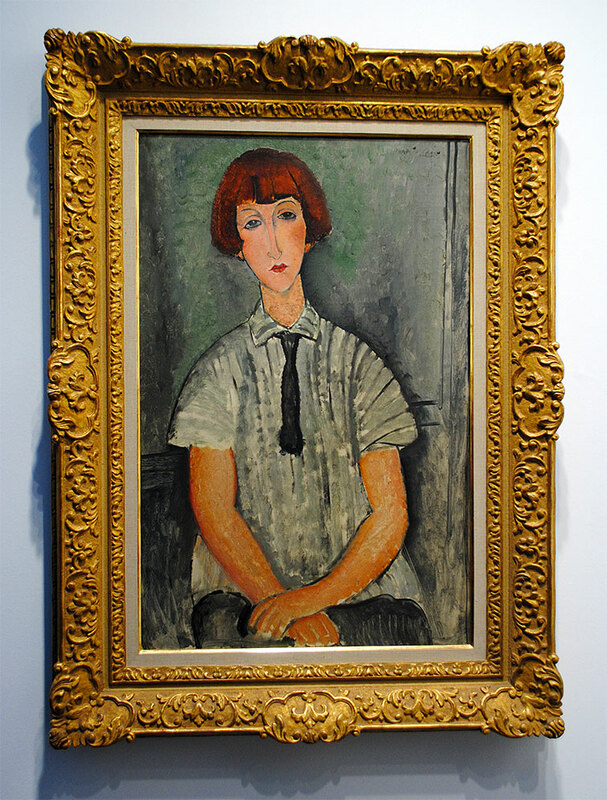 If it’s true that age imbues confidence, then FIAC is looking good at 42.